Propulsion: Two - three drum expansion boilers, two 5,500 iHP J. Hendy Iron Works vertical triple expansion engines, two shafts. 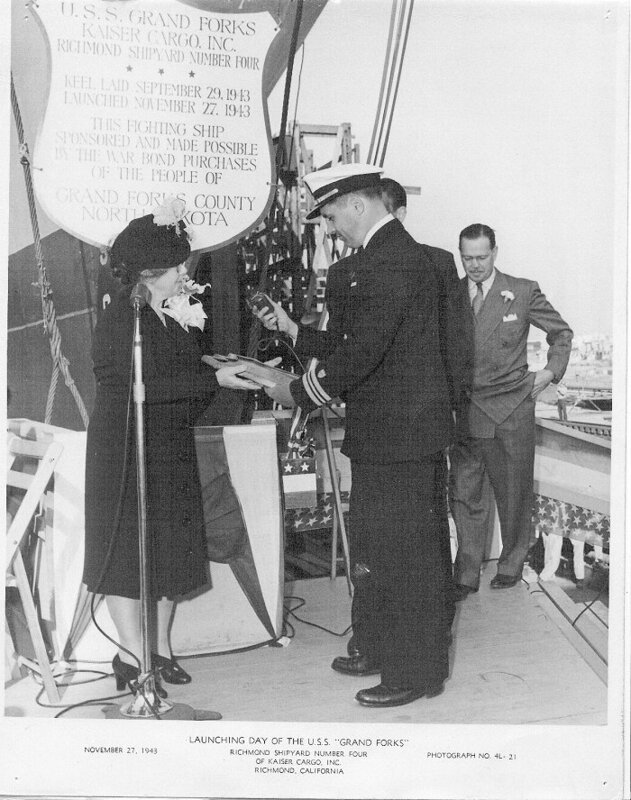 163k Dedication ceremony, 27 November 1943. Sponsored by Mrs. T. H. Thoreson and the citizens of Grand Forks County, North Dakota through the purchase of War Bonds. 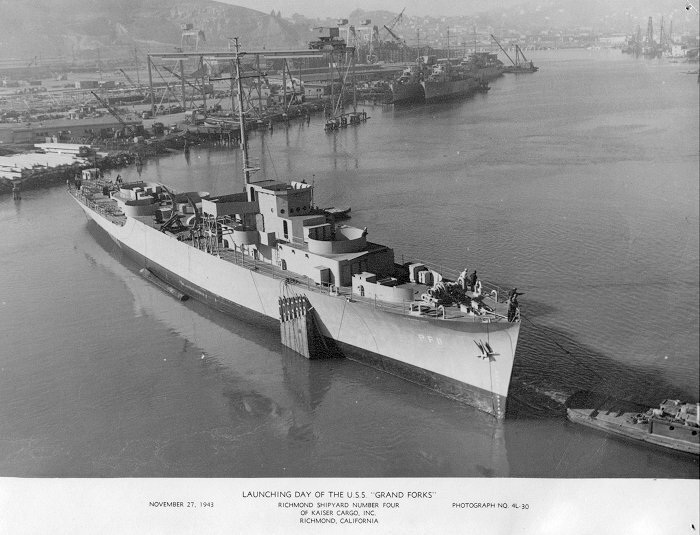 80k Launching, 27 November 1943. 252k Aft plan view of Grand Forks at Mare Island near the completion of outfitting on 20 April 1944. The USS Casper (PF 12) is outboard of Grand Forks. 239k Forward plan view of Grand Forks at Mare Island near the completion of outfitting on 20 April 1944. 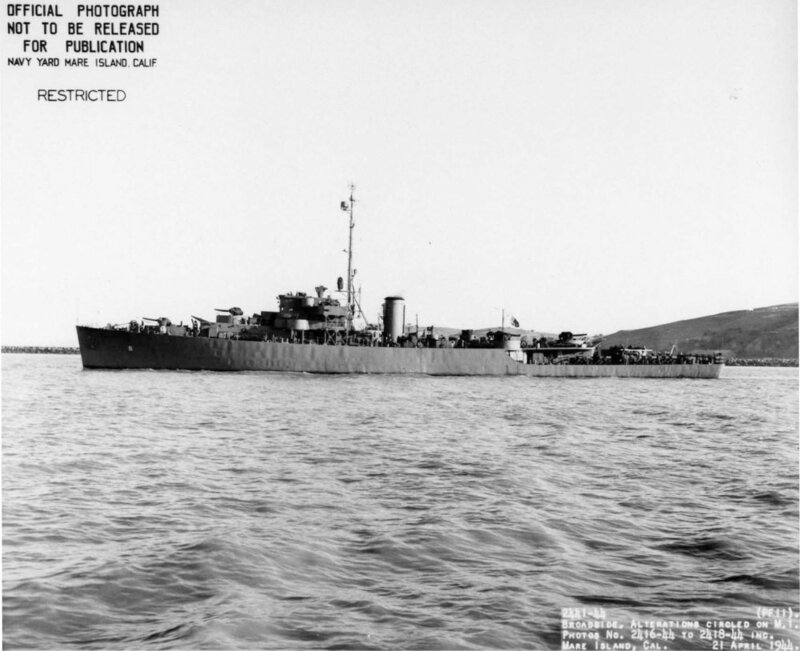 The USS Casper (PF 12) is outboard of Grand Forks. 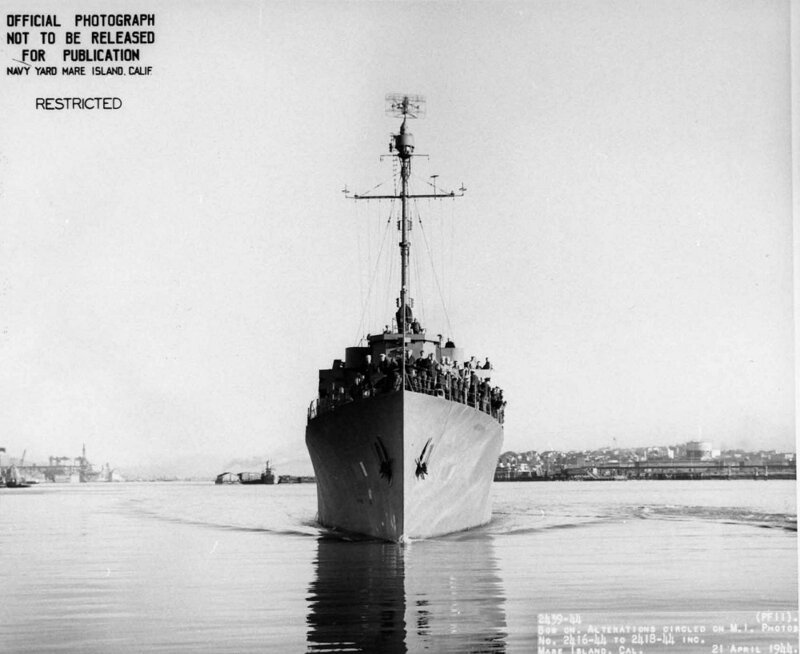 109k Bow on view of Grand Forks departing Mare Island on 21 April 1944. 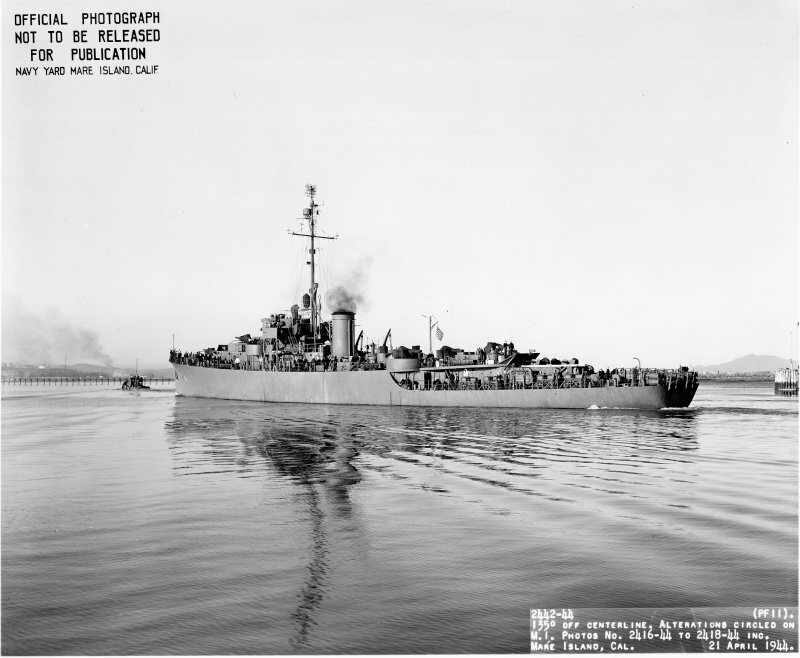 122k Broadside view of Grand Forks off Mare Island on 21 April 1944. 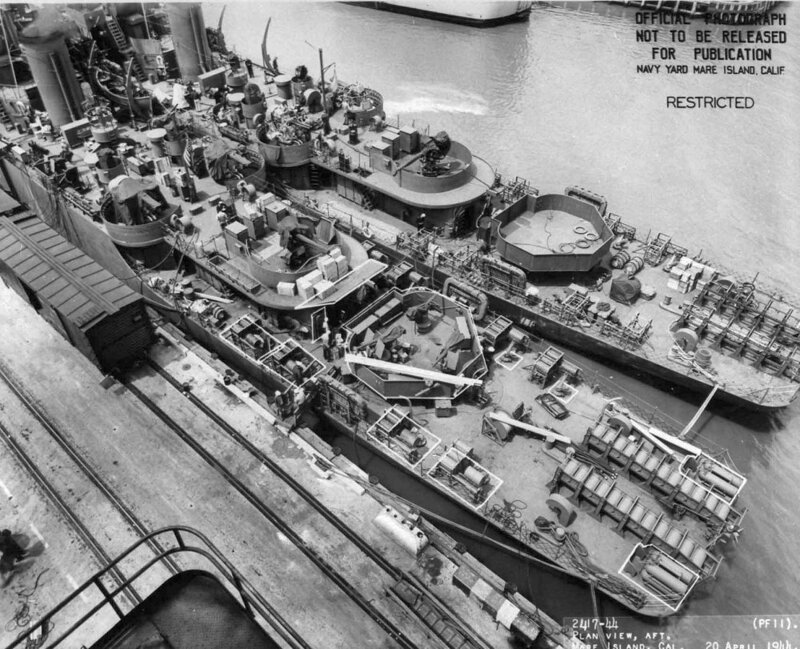 78k Shown off Mare Island Navy Yard on 21 April 1944. 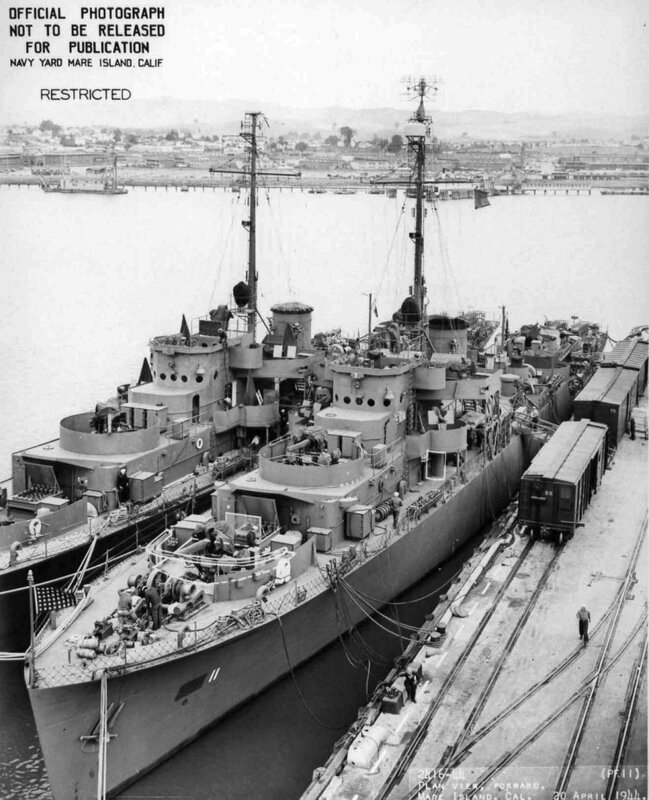 She has completed outfitting/repairs at the shipyard from 20 March to 23 April 1944. She was in dry dock #2 from 4 April to 8 April 1944, and again from 12 to 13 April 1944 in dry dock #3. 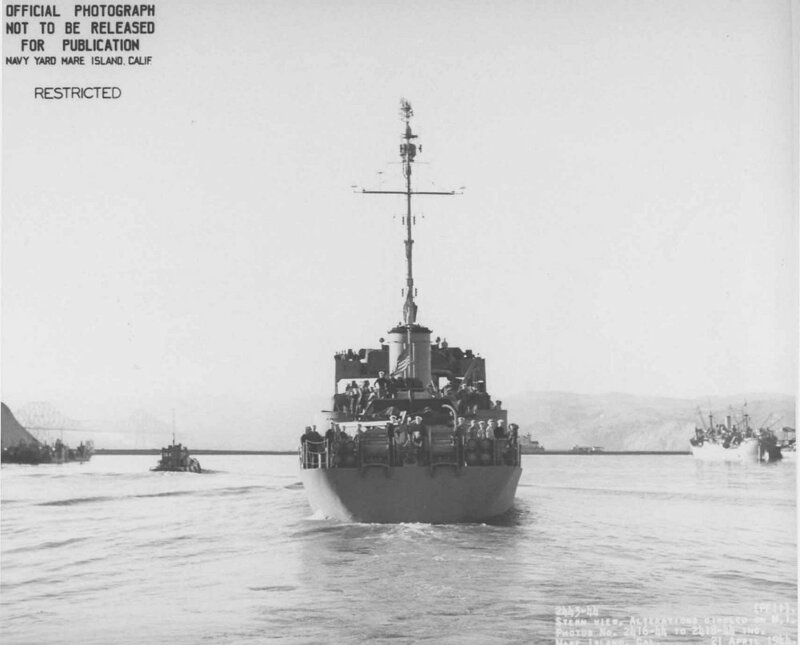 81k Stern view of Grand Forks off Mare Island on 21 April 1944.